We’re hiking Westchester, one beautiful, breathtaking new trail each month. Why don’t you join us? Getting outside for a hike – even when it’s cold – is a guaranteed way to make your day a happy one. Now that I’ve visited, I find myself wondering -how could it be that I’ve lived in Westchester my whole life, but never managed to visit this amazing place? If you have never been, put it on your list of places to see, because it truly is a special place. This huge park – Westchester’s largest – offers something for everyone. A Trailside Museum, several picnic areas, playgrounds, cross country skiing, fishing, old buildings, big trees, camping, sledding, even an art gallery. The park has a very diverse landscape and- with 41.9 miles of trails – anything a hiker could want. You can make a hike here as short or as long as you like. We opted for a two-part hike- first, a short hike with the kids; then, a longer hike without them. Here’s more information about where we hiked, and some pictures to give you a taste of what’s in store for you if you decide to check out this wonderful spot. With the kids: We parked at the Trailside Museum, and headed up Pell Hill. This is a paved and cleared path, making hiking with kids easier this time of year. We walked past and through rolling hills, big old trees, open vistas, snowy meadows, a playground, and finally, the lean-tos at the top of Pell Hill. This was a relatively short distance, but we took our time and explored the area, peeking in maple sugar buckets, climbing on rocks, jumping in snow piles. 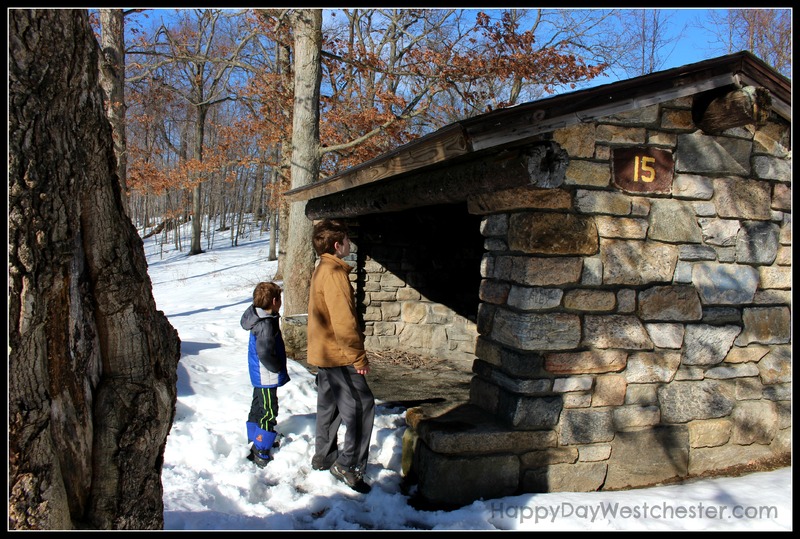 This is the perfect place to get the kids outside for a little while in the middle of this snowy winter. The favorite part of the hike for my boys: exploring the lean-tos. These very cool structures were built in the 30’s by the Civilian Conservation Corp., they are still used for camping, and they’re scattered throughout the park. If this intrigues you, you should know the park also contains the remnants of the original CCC camps, also open for exploring. For the longer hike – sans kids: I opted for the Leatherman’s Loop Trail to the Overlook and the Leatherman’s Cave. 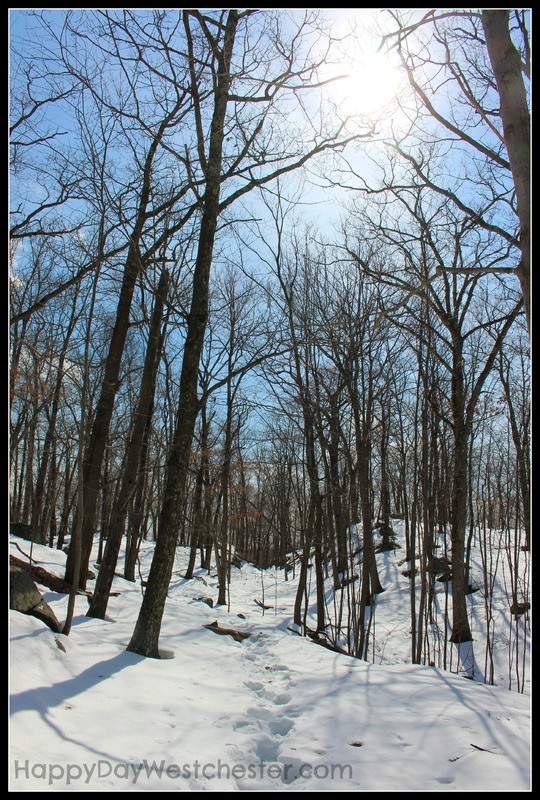 The hike was moderately challenging, due to snow and ice covered trails, and it took about 2 hours round trip, though it would be considerably shorter in warmer months. It was worth every slippery, icy moment, because the views and trails were incredible. I can say with absolute honesty that the two hours on this trail were the most serene and peaceful two hours I’ve had so far this year. 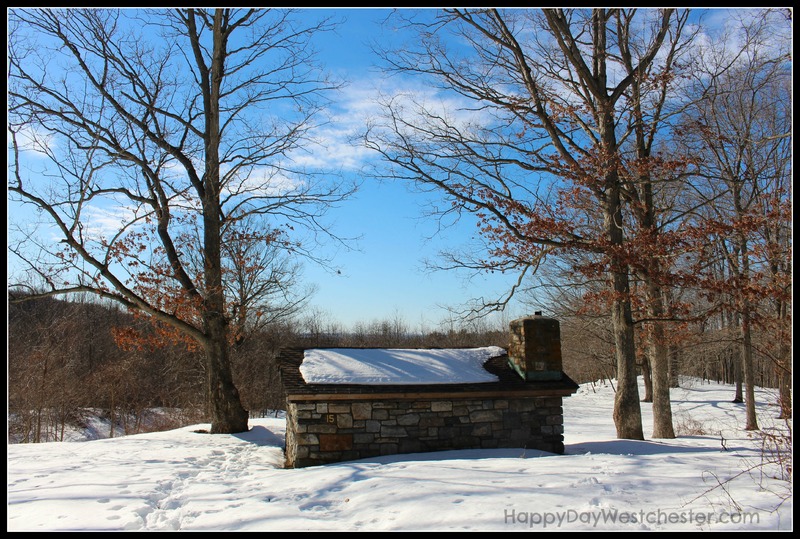 Hiking at Ward Pound Ridge felt like stepping out of time. 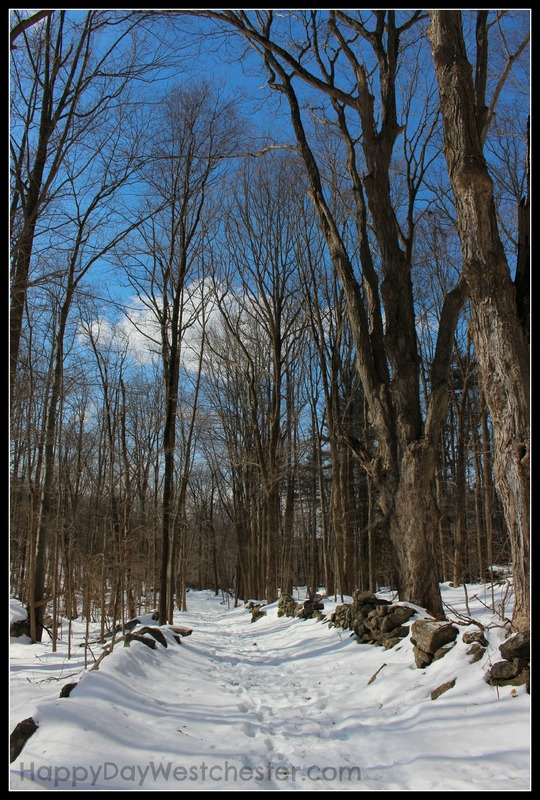 The trails were pristine, well-marked, and absolutely gorgeous, covered in sparkling white snow and glistening ice. 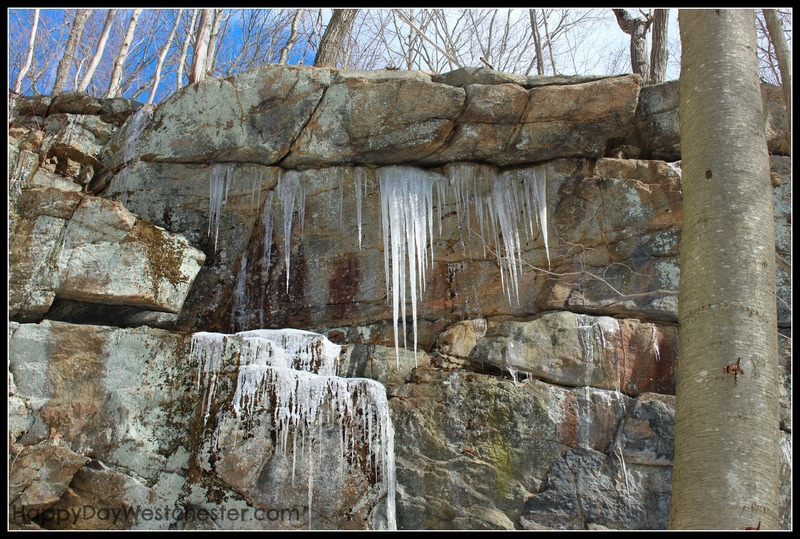 Huge rocks, stone walls, interesting landscapes and varied terrain throughout the trail kept this hike beautiful and interesting every step of the way. 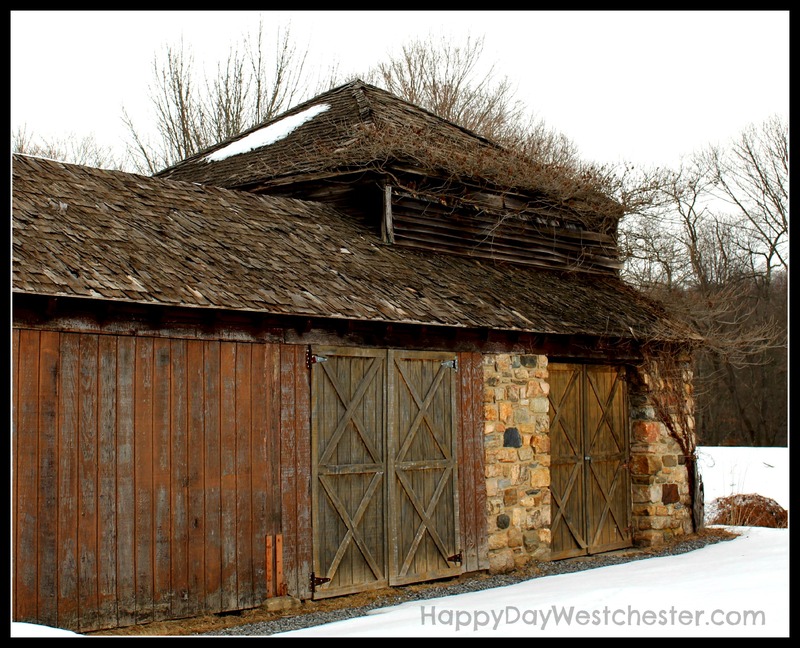 The Leatherman, our local legendary wanderer, kept a “home” here at Ward Pound Ridge. 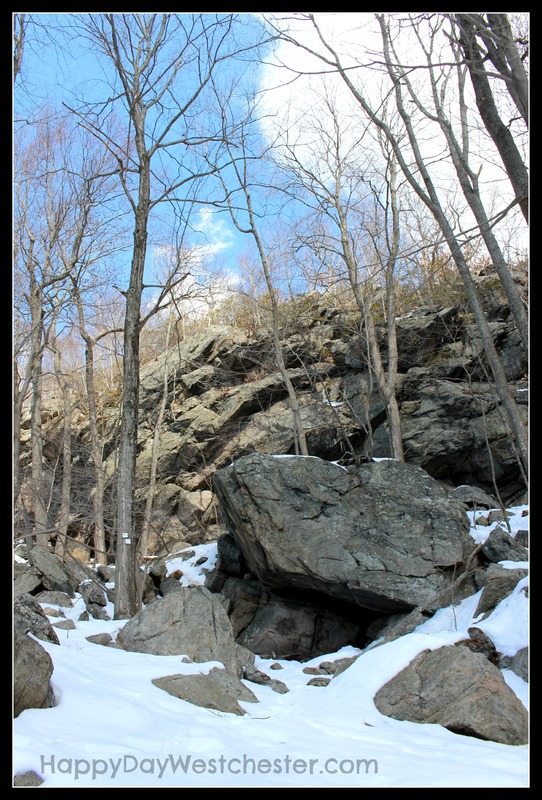 The Leatherman’s cave is near the Overlook, another reason to give this particular hike a try. The Trailside Museum has information about the Leatherman and his travels. The Overlook, my goal, was breathtaking. 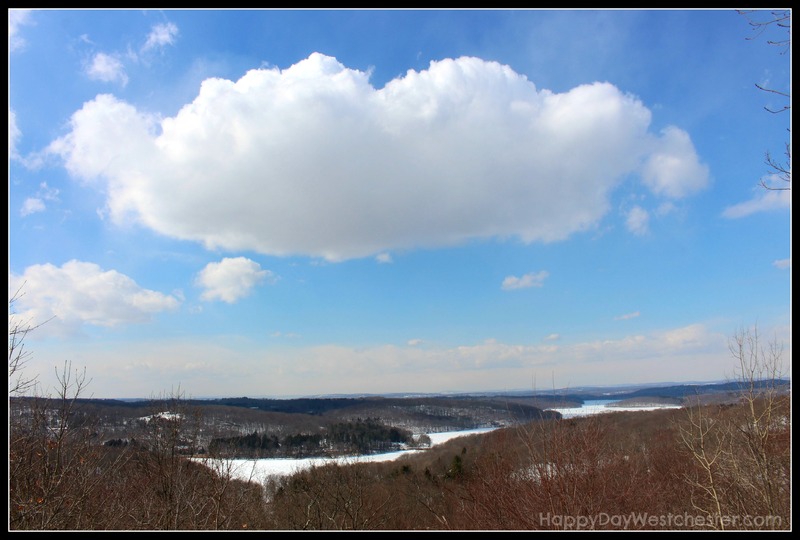 The Cross River Reservoir below and the wide open, blue sky above made the challenging winter hike worth every extra minute. 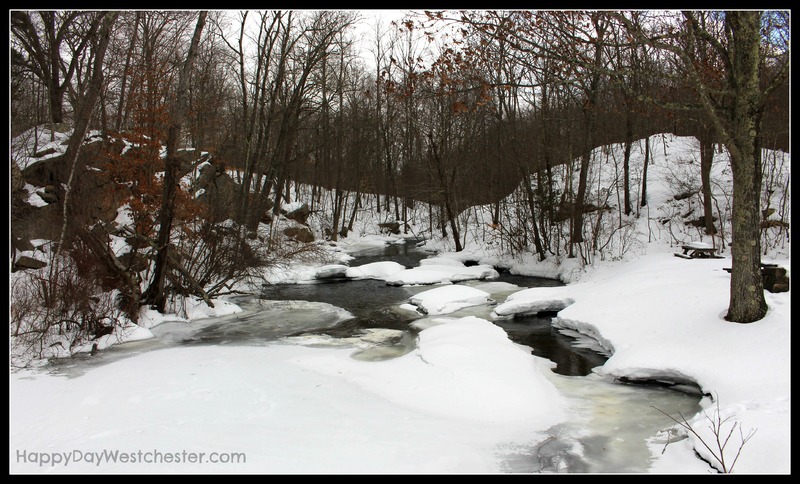 I know it’s hard to get outside when it’s cold and snowy – but it’s incredibly rewarding. 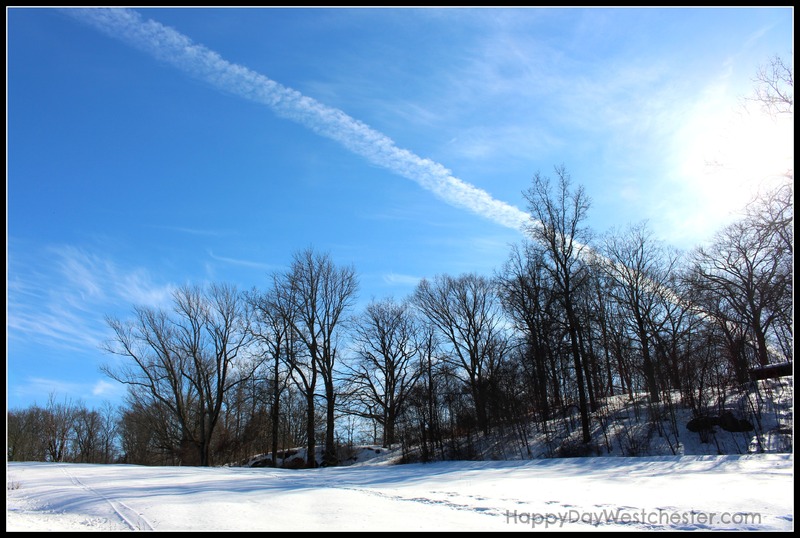 The sights and trails look completely different in the winter, and they are just as beautiful. Give it a try – I promise you won’t be sorry! As I said, this park has something for all ages and interests. 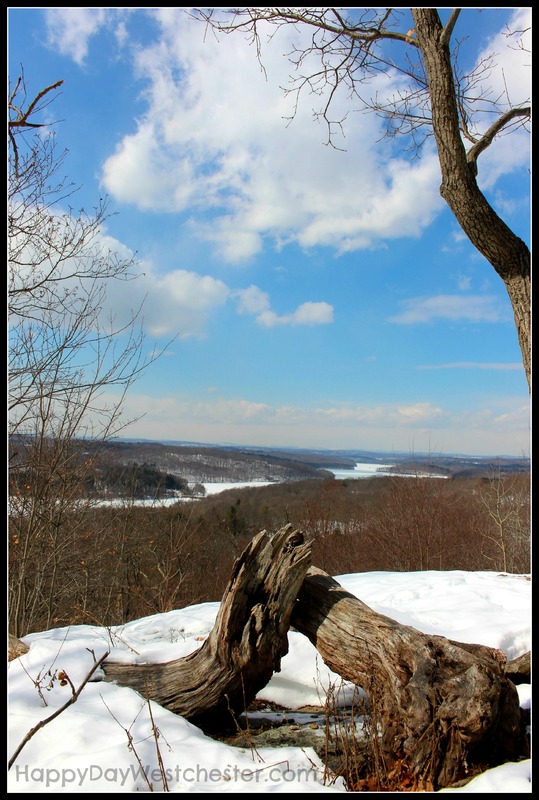 Not only will you find miles of challenging trails and beautiful vistas for experienced hikers, there are also sledding hills, playgrounds, and short hikes with paved paths suitable for kids, along with interesting landmarks, history, and ecology. Come visit. 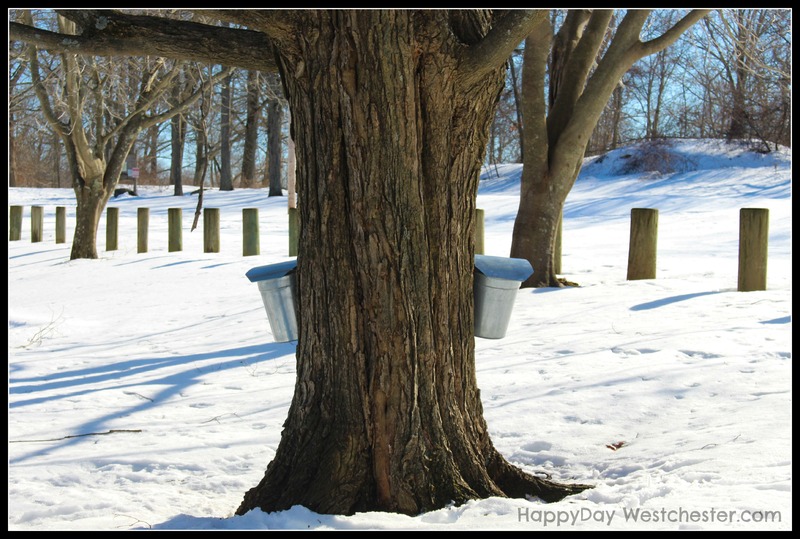 Here is the link to the Westchester County parks page, with directions. The park is huge. Check out the map first and have a rough plan of where you want to go before you head out. 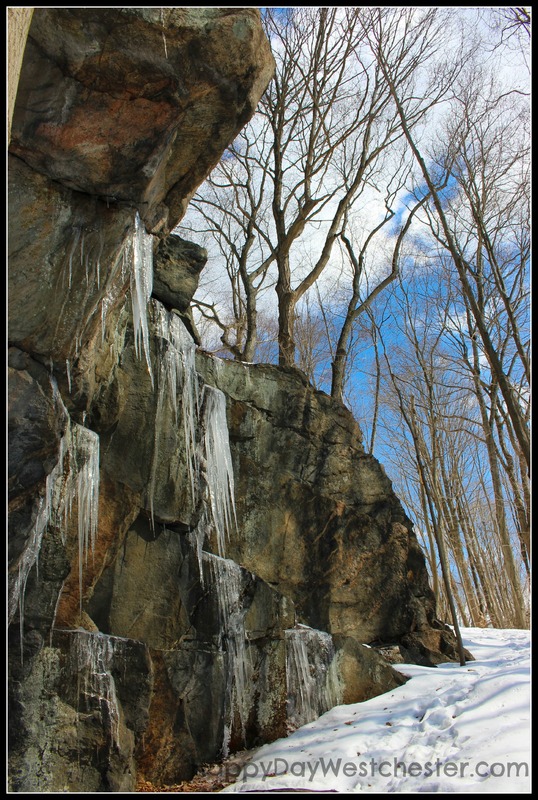 Click here to link to the trail map for Ward Pound Ridge. Be sure to visit the Trailside Museum while you’re visiting, and chat with the naturalist, Zaac, or the curator, Jason. Better yet, plan your visit to coincide with one of their weekend nature programs. Check out the schedule here. Check out the Art gallery, located right in the park, near the entrance. We didn’t get to do this on this trip, but we will definitely be back. Read more here. Think the park is too far away? It’s just a few minutes off the Katonah exit of 684. Not hard to get to, and worth the trip. Now…time to decide where to hike next month. Any suggestions? Thank you! But did I inspire you to visit this beautiful place? I hope so! That was my goal.